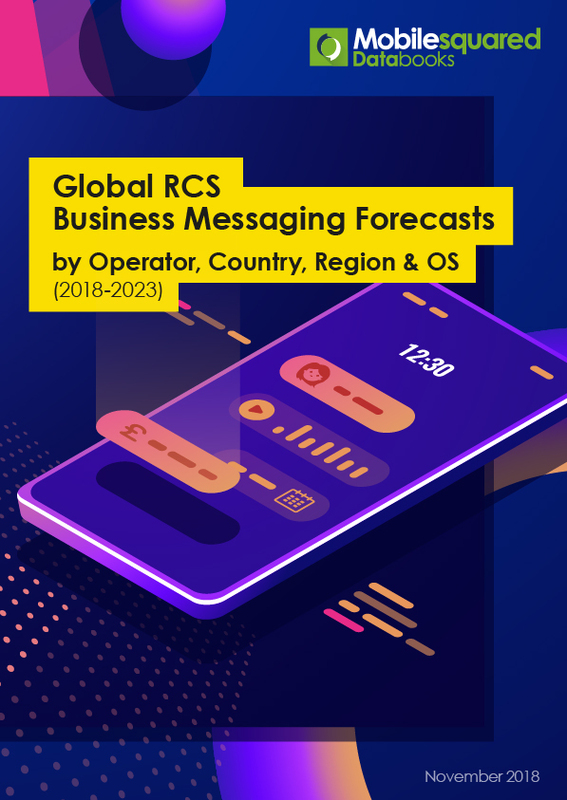 The Global RCS Business Messaging Forecasts 2018-2023 Databook is the largest piece of research to date on the RCS business messaging market. It includes five-year forecasts for up to 200 markets and 650 mobile operators, and is the only report currently available which delivers mobile operator national, as well as regional, forecasts. This Databook is essential reading for any company looking to invest in an RCS strategy. With the global average cost of data breach surging to US$3.86 million (2017 Cost of Data Breach Study, Ponemon Institute), customer-facing security is high on the agenda for any businesses allowing web access to any part of their customer journey. In addition to the rising costs, security incidents can result in untold reputational costs as potential customers steer clear of brands with a history of security problems. 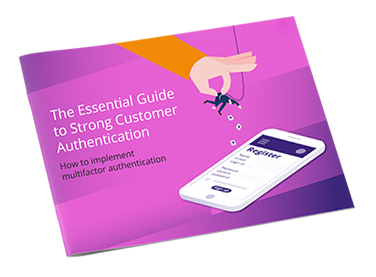 Against the backdrop of numerous high-profile security breaches and associated business impact, many companies are looking to strengthen their customer-facing authentication by using multiple factors. 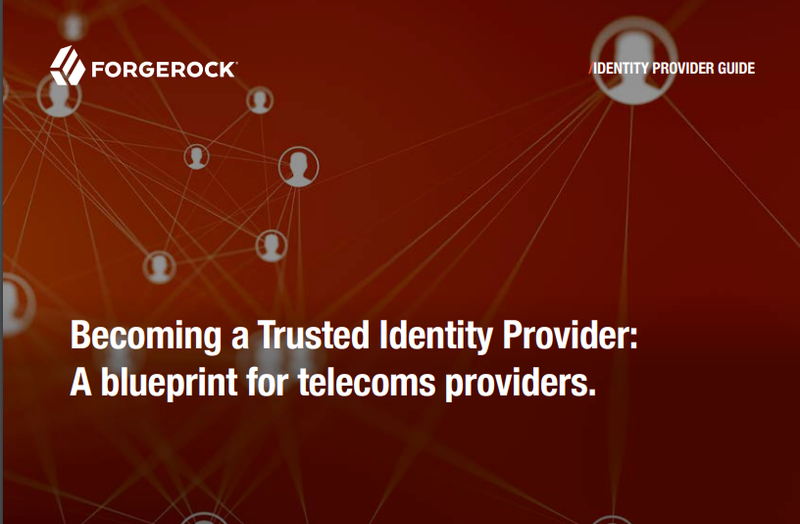 ForgeRock: Becoming a Trusted Identity Provider: A blueprint for telecoms providers. On Device Research has released findings from the latest wave of its Path to Purchase tracker which reveals some of the key trends influencing KSA, UAE, & Indonesian consumers’ media consumption habits and shopping habits – both online and offline. 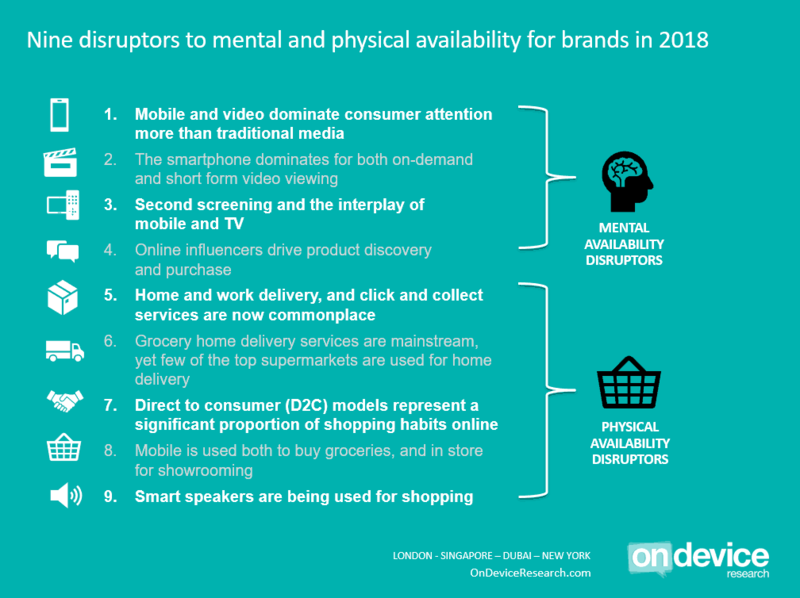 The survey of smartphone owners reveals that while digital creates considerable disruption to how brands maintain and grow both mental and physical availability, it also introduces a whole host of exiting new opportunities in how brands can engage with consumers and measure marketing effectiveness. 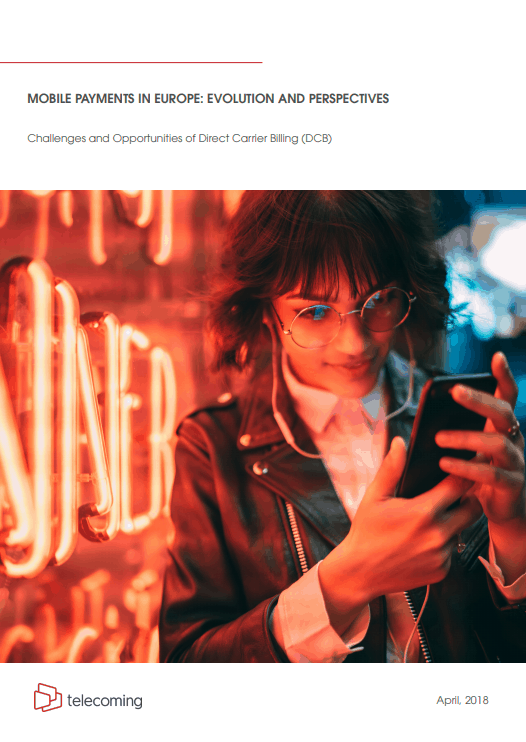 In this paper we share some of the most relevant insights concerning the bright evolution and positive perspectives of carrier billing in Europe. The European digital content industry is expected to reach $50.200M in 2018 and it’s forecasted to bill $73.842M by 2022. More precisely, in terms of digital contents billed via DCB, by the end of 2018, the forecasts point out to $5.900M. In Spain, the DCB market will reach €256M by the end of 2018. Download the report now to further analyze which are the drivers behind the expansion of DCB in Europe. There's a lot of noise on the topic of CPaaS (Communications Platform as a Service), but what's it all about? Find out how it can enable developers to add communications capabilities to mobile apps and enterprise systems without needing to build either the network infrastructure or the supporting interfaces. Juniper Research estimate the enterprise CPaaS spend set to quadruple to $6.4bn by 2020, find out why and how you can benefit form getting on board early. If you're considering working with a new CPaaS provider we offer some tips on what to consider in your buying process. Our new guide takes you though the new EU regulations involving data protection, privacy and security, as well as consumer consent. 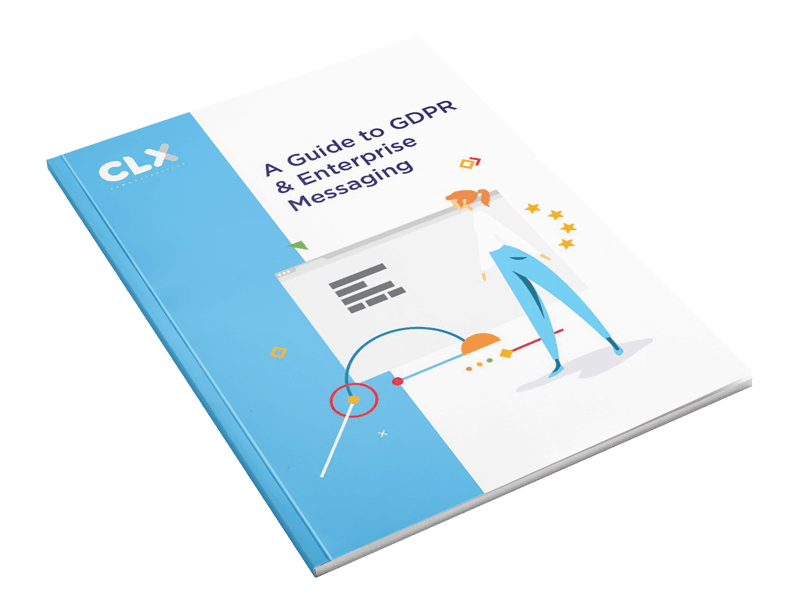 A must read for all of those working in the enterprise messaging ecosystem. GDPR aims to establish consumer trust in complex data ecosystems, like messaging. The result will be that businesses can operate with a clear understanding of how trust must be nurtured, and not abused. There are huge potential fines for companies who are found in breach of GDPR, running up to a possible fine of €20 million (or 4% of annual turnover). Make sure you're not one of them! 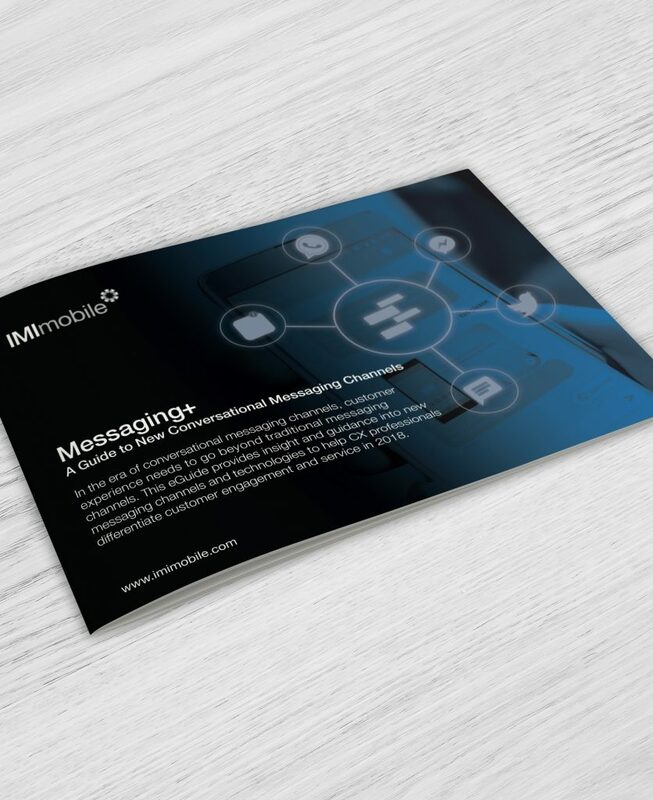 Delivering the conversational services, app-like interactions, and data-driven ‘micro-moments’ that stand to win customers and keep them coming back will happen over digital and mobile messaging channels. But in an increasingly complex messaging ecosystem, where channels are being enriched with rich media capabilities, which channels should be your priority? Why the ability to engage and provide ‘app-like’ interactions over messaging channels is one of the most powerful CX differentiators that today’s enterprises must own. A breakdown of the channels and technologies that are available to enterprises today for delivering conversational interactions, defining which are a priority and which can wait. Details of how to solve the enterprise challenge of managing an increasingly complex customer communications ecosystem, where customer journeys are increasingly data-linked and delivered across multiple channels. The Global A2P SMS Messaging Forecasts by Country 2017-2022, is the largest piece of research undertaken on the global A2P SMS market to date. It provides detailed data and analysis on the A2P opportunity in 200 key global markets (view the full list of markets here), with 5 year forecasts for all 200 markets. The full report contains 3.7 million data points, and is essential reading for any business looking to future proof its A2P strategy. 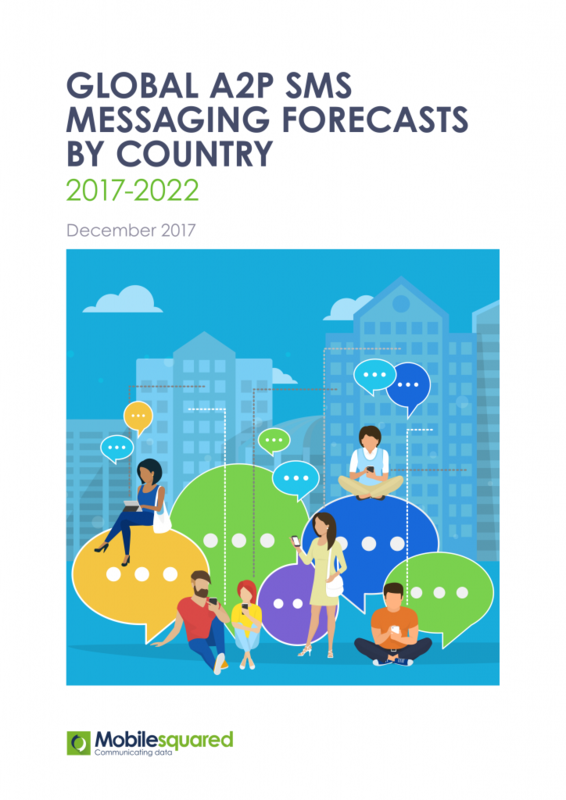 This report is an update to our previous report “Global A2P SMS messaging forecasts by country 2015-2020: Mobile operators key to unlocking multi-billion dollar SMS ecosystem”. In addition to updated forecasts on total, grey, and white route messages by revenue and traffic, the 2017-2022 version contains extensive new traffic forecasts split by operator, domestic and international, sector and message type – and revenue forecasts split by operator and aggregators. Exclusive discounts available for MEF Members March 31 2018. Contact us for more info. The app store publishing playbook. Alternative app stores increase reach by over 20 times Realising the rewards of alternative app stores takes time and effort - especially if you're planning on uploading to multiple stores simultaneously. What are the steps you need to take to your apps truly global? With the imminent launch of 5G networking technology, the communications industry is at a crossroads. Communications service providers (CSPs) will gain access to tools, standards, and platforms capable of opening up promising new business opportunities and associated revenue streams. To capitalize on the business value of 5G, CSPs need to adopt new technologies to increase their ‘share of wallet’ with services that extend and add value to their network assets, systems, data and customer segments. Where can digital identity be applied to increase engagement while also solidifying trust, privacy and security? How do we monetize the Internet of Everything? What business opportunities will arise through the deployment of 5G network-level digital identity? Mobile messaging can be an effective real-time collaboration tool that encourages employee productivity. But enterprises need to enforce sanctioned messaging apps that adhere to privacy, compliance and security standards. 451 Research’s recent Pathfinder report, “Growing Use of Consumer Messaging Apps Exposes Organizations to Privacy, Compliance and Security Risks” provides data and analysis on the use of consumer messaging apps in the workplace, and the steps companies need to take to secure enterprise communications. The company-sanctioned use of personal devices for business purposes. How organizations can gauge and address the level of risk created by consumer messaging applications. Strategies for the adoption of secure enterprise messaging as a core productivity tool for employees. The customer service and contact centre experience your business delivers has never been so important to customer loyalty and brand differentiation. The question is, are you investing in the right technology and innovations to deliver the experience the modern consumer demands? Adoption of digital communication channels, especially around customer service is not as advanced as businesses may suggest. Consumer expectations are sky high, 67 per cent of consumers believe their enquiry should be answered in less than 5 minutes. 78 per cent of consumers would be willing to wait longer for enquiries to be answered provided they get an acknowledgement of their enquiry over digital messaging channels. The ICLG to Telecoms, Media & Internet Laws & Regulations 2018, authored in association with the Mobile Ecosystem Forum, covers common issues in telecoms, media and internet laws and regulations – including radio spectrum, cyber-security, interception, encryption and data retention, distribution of audio-visual media, and internet infrastructure. This comprehensive comparative guide follows a question and answer format to ensure thorough coverage of the topic within different legal systems worldwide. Each chapter is written by leading practitioners from top international law firms to provide a valuable and convenient resource, updated annually. This eBook explores the current in-store payments landscape and discusses a new, major development in the evolution of payment technology and acceptance: PIN on Mobile. PIN on Mobile (PoM) provides all retailers with an innovative and streamlined capability to secure card payments on consumer off the shelf (COTS) devices during face-to-face transactions. Designed to increase payment acceptance volumes, reduce costs and improve the customer experience, PoM is the payments industry’s latest innovation in card payment acceptance. How Marketing Automation and digital transformation will disrupt the relationships between Customers and Enterprises. Marketing Automation and Digital Transformation are disrupting the relationships between companies and customers. This new Ubiquity White Paper explores new trends and scenarios within Messaging Platform market. New paradigms are rising up: the concept of messaging as a platform and the idea of “conversational commerce”. While messaging apps are surpassing social networks, brands have the opportunity to reduce conversion time, increase revenue and improve quality. Gemalto: IoT, what do consumers want from their connected future? ​​Consumer IoT and smartphones have become the most important consumer devices in our lives. And behind this is a vast world of connected objects that mesh together to improve our lives. From controlling our homes, to unlocking and controlling our cars, controlling our drones and to monitoring our health, advances in connectivity over the past decade have radically reshaped society. With the pace of technological innovation accelerating so rapidly, we sought to understand more about how consumers visualize their ideal experience in this connected world. Over the past 18 months we've spoken to 5,000 people from nine countries about what they want from their future mobile and IoT experience. The findings are fascinating and complex, containing valuable insights that we are pleased to share with everyone involved in the mobile and connected object ecosystem; the device manufacturers, the retailers, the OTT service providers. Every month, Hiya provides reputation information based on realtime analysis that identifies spammers in minutes. Hiya analyzes more than 3.5 billion calls globally and references a database of over 1.5 billion numbers to identify incoming and outgoing calls. With this information, users can elect to block unwanted robocalls from ringing through to their mobile device. In this monthly report, we'll look at some of the data and trends from March 2017, including: the number of spam calls identified within the month, the top phone scams in the United States and a look at spam across the globe. Having one way to communicate with customers is like having only one flavor of ice cream. Sure it’s good, but you’re not always in the mood for mint chocolate chip. Sometimes you need rapid, reliable communications and only SMS will get the message to customers quickly. Product updates, probably better as an email. Support could be done on either, but what about using WhatsApp or Facebook Messenger? 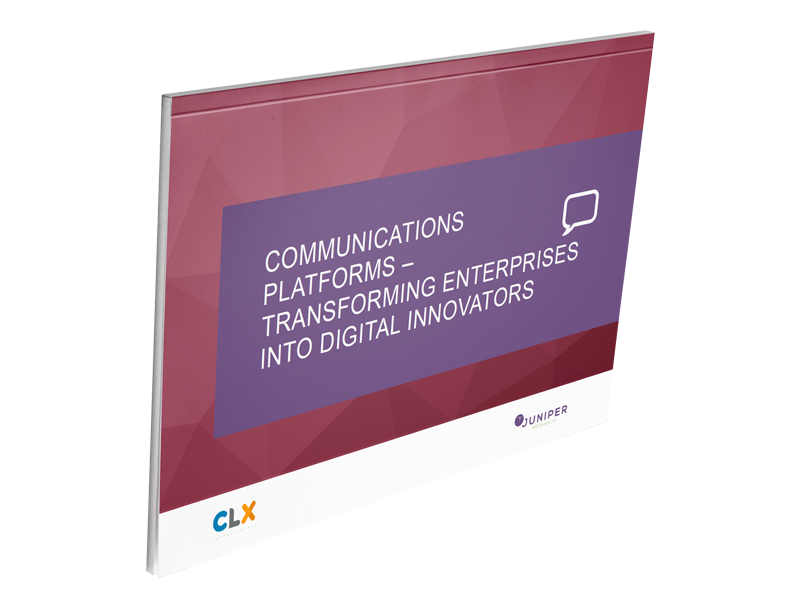 This ebook is intended as the complete vision for your new communications strategy at once. You won’t just see how communication channels and tools fit together but why they fit together as well. Each facet of omnichannel communications supports the other. Why 2-Way SMS is built on an SMS messaging API that powers 2-Factor Authentication which can be used to help customer support over the phone. The 4th annual MEF Consumer Trust Study is part of MEF’s Consumer Trust Initiative established in 2011, a multi-stakeholder working group united by a commitment to drive best practice and innovation when it comes to consumer data and is part of the group’s ongoing education programme to raise awareness of the importance of privacy, security and identity. The first report from the study is in association with is in association with ForgeRock and analyses key global findings. With a backdrop of forthcoming General Data Protection Regulation the report highlights some of the challenges and opportunities the industry faces when it comes to managing and leveraging personal data. Subscribers using carrier billing in Google Play spend more across all operator services. It is widely believed that offering carrier billing for third party services cannibalizes operator revenues from traditional voice, SMS and data services, because subscribers have a limited budget to spend on their phone - a fixed wallet size. To investigate this belief in detail, Bango and Belgian operator Proximus partnered to analyze pre-paid subscribers using Android smartphones, comparing those using carrier billing to purchase from Google Play with those who do not, focusing in particular on pre-paid subscribers. The payments industry has slowly become aware that is has to prepare for new regulations after the European Commission set out new laws, together forming the Payment Services Directive 2 (PSD2). Strong customer authentication, security, transparency and innovation are key in PSD2, which comes into effect in 2018. What should you be doing about PSD2? CM Telecom has worked with CA Technologies and Finextra to produce a whitepaper in order to explore and raise awareness of the views of market participants on the opportunities and challenges of PSD2. CM Telecom has worked with CA and Finextra putting together the whitepaper because it has two major strengths if it comes to implementing PSD2. While direct carrier billing is used in virtually every part of the world, adoption has been particularly high in Europe. In fact, the market for direct carrier billing on mobile phones alone is projected to be almost $6B by 2017. Despite its widespread use in the EU, growth has been hampered by regulatory constraints. KPMG: Your connected car is talking: Who’s listening? Today’s vehicles are more “wired” than ever before- offering connectivity similar to what we expect at home, in our offices and on our mobile devices. Although that connectivity is awesome for drivers, it does come with some inherent risks. Moving the data-driven user experience forward with value, security and privacy. This report explores the two worlds of connected vehicle data – the one in which data means fantastic value and the other in which data means risk. How should original equipment manufacturers (OEM) balance the two, leveraging data insights to offer customers an unbelievable driving experience while at the same time protecting the data like it was their own? Attributes are pieces of information, which determine the properties of a field or tag in a database. In more human terms, attributes are qualities of someone or something. In The Attribute Economy, these attributes represent human beings. They are individual characteristics such as age, gender or education level. They are also characteristics that give context to someone’s life, such as browsing history, financial information, emails and messages, health records and social media profiles. Soon these attributes, rather than being exchanged in the background without people’s full knowledge, will be exchanged on the explicit terms of the person they relate to. This is the Attribute Economy 2.0. This Version 2.0 of the Fraud Framework offers some further insight into the impact of fraud on all parties within the ecosystem, as well as categorisation of the means available to parties to detect and protect against fraud through the implementation of commercial solutions, technical solutions and through processes, compliance and legality. This Juniper Research white paper, provides a comprehensive overview of how Mobile Network Operators, OTTs and Enterprises can use A2P messaging to drive business and increase revenues. Consumer affinity with text messaging now extends to its A2P incarnation suggesting that the market has been seeded for additional use cases. A2P messaging provides MNOs with an opportunity to plug declining revenues from voice, P2P messaging and data and increasing capex and opex costs from network upgrades. While A2P messaging generated traffic worth nearly $36.3 billion in 2016, 31 per cent of that traffic was grey route and totaled nearly $11.9 billion in lost revenues to MNOs. Download the infopack now to find out more. Mobile billing in Europe will keep up with its growth trend in the next years. The global carrier billing market reached $16.6M in 2015 and it´s estimated to reach $25.3M in 2020. In order to share our team´s forecasts and market perspectives regarding carrier billing, we have carried out a brief white paper on Southern Europe´s Mobile Billing market. We have gathered data from several acknowledged market sources and internal specialists in order to build an accurate market review. We are happy to be part of this cutting- edge market and to provide added-value information to the business ecosystem.